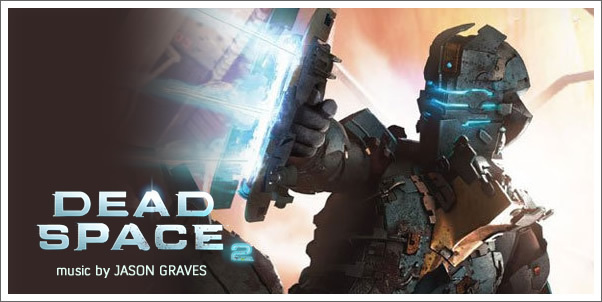 Los Angeles, CA - November 17, 2010 - Classically trained BAFTA-winning composer Jason Graves returns to create a psychodramatic orchestral score for Dead Space 2, the highly anticipated next installment in the blockbuster action horror videogame franchise. Reflecting hero Isaac Clarke's dementia and nightmarish personal journey, Graves' original music score for Dead Space 2 features the intricately woven thematic movement "Lacrimosa," a concerto for string quartet that runs throughout the game. The game's intense and varied soundtrack also immerses players in this thrilling action horror experience with haunting Unitology choral compositions, visceral action music and spine-tingling string arrangements performed by A-List musicians at Skywalker Sound. "The score really runs the gamut as you play through the game. There are much bigger and scarier pieces along with quieter, more personal moments to counterbalance them. I wrote for string quartet to portray Isaac's vulnerable side. It's quite the emotional arc, but of course still done in a very 'Dead Space' way." Jason Graves previously composed the innovative, unique soundtrack for the original Dead Space, which has been called "the scariest game ever made." Jason's groundbreaking score was hailed by critics as a "truly original soundtrack" and "the best score of the year." It was recognized with a myriad of worldwide nominations and won two BAFTA awards - one for Original Score and one for Use of Audio. For the latter, the Academy stated, "It's the music soundtrack that boasts horror and tension." "It has been a real pleasure working with Jason on Dead Space 2. The range of his composition is impressive, and his attention to detail never fails to amaze me. His creativity, energy, and unique vision for the music has been key to establishing the atmosphere of Dead Space 2." More information on the composer can be found at www.jasongraves.com. For more information on Dead Space 2, visit the official website at www.deadspacegame.com.